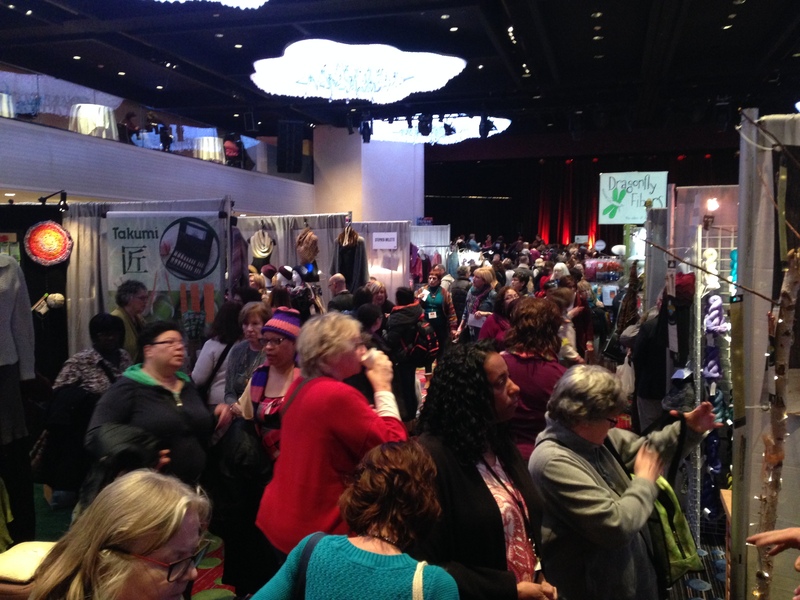 I changed my mind half a dozen times about whether or not I would go to Vogue Knitting Live! in New York this weekend. I didn’t learn about the show until last week, so almost all of the classes were already filled to capacity, and the few remaining didn’t appeal to me. If I went, my participation was going to be limited to buying a $20 Marketplace ticket and wandering around a big sales hall of yarn that I shouldn’t buy at a time when there are other outlets for my money. (I have plenty of yarn. I do not, however, have a sofa.) Twenty dollars to window shop and talk myself out of impulse purchases didn’t seem like a responsible use of funds. Saturday morning, I made the final decision as I was eating breakfast: I was going. I accessorized my outfit with some favorite hand-knits, as I had a suspicion that one wants to show off one’s best creations at a knitting show, and made my way up to the Marriott at Times Square. Twenty dollars handed over at the ticket booth and I was sporting a hot-pink wristband allowing me entry to the two-floor Marketplace. I did one slow circuit of the room, ducking into less crowded booths to check things out whenever I could. There were quite a few yarn producers exhibiting their wares, as well as many knitting stores selling various luxury yarns, plus every knitting accessory you can imagine: shawl pins, stitch markers, fancy needles, yarn bowls, “knit one, sip two” wine glasses, pillows that massage your lower back to prevent pain while sitting and knitting. “I just like to pet the silk,” one shop owner told me, and while this statement might seem bizarre to non-knitters, I completely understood. I can’t stand scratchy yarn; tweedy Irish wool might look nice, but it’s hell to wear. When I’m yarn-shopping (or browsing), soft wins. 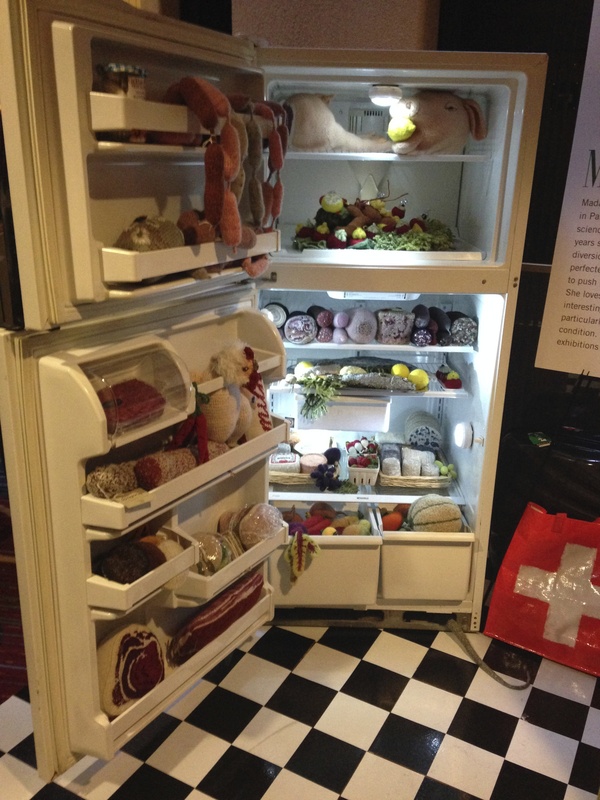 Merino wool, silk, cashmere, bison, qiviut … oh, qiviut. 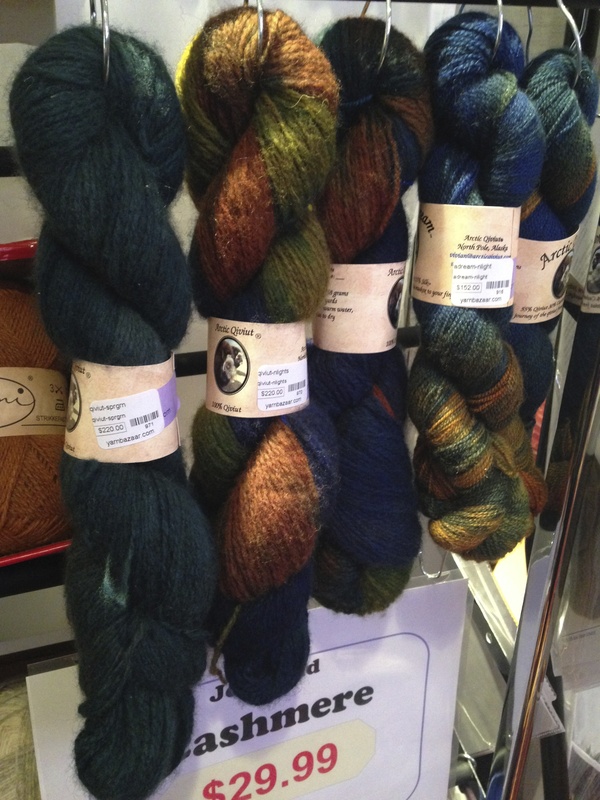 One shop had some beautiful qiviut for $220 a skein—a little outside my price range. 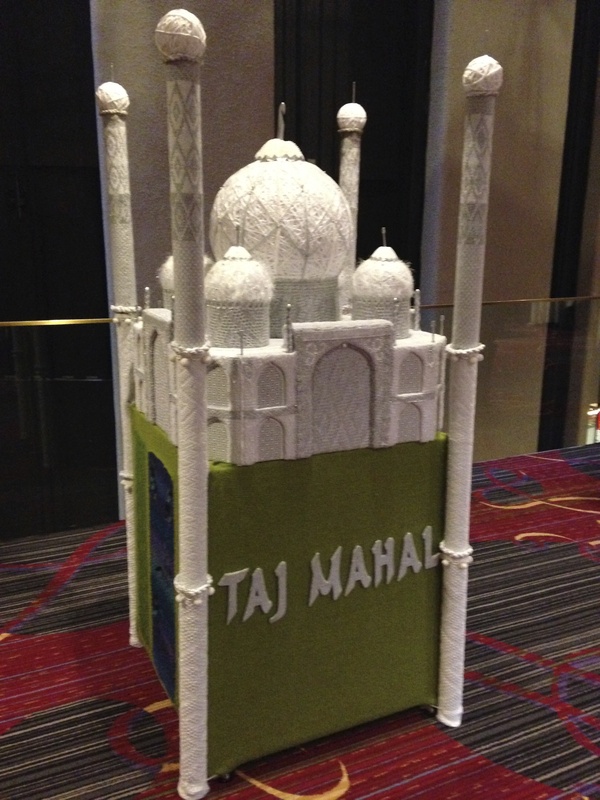 When I needed a break from the Marketplace after an hour, I went out into the gathering area and found the “Seven Wonders of the Yarn World,” an exhibit of models created from yarn and different knitting techniques. I ate the lunch I’d brought (and noticed many others at nearby tables also eating brown-bag style; knitters tend to be a thrifty bunch, except when it comes to buying yarn) and pulled out the scarf I’ve been working on to get in a little knitting time. All the tables around me were filled with women doing the same,* often sharing advice and trading knitting war stories or pulling out their phones to show off pictures of projects. (I heard more than a few “my husband’s gonna freak out if I come home with one more skein of yarn” jokes, too.) I mostly prefer knitting alone—it clears my mind and gives me something to do while I watch TV—but there’s something pleasant and companionable about being surrounded by a knitting community, too. Eventually, I put my scarf away and headed up to the second floor of the Marketplace, which was even more crowded than the first. The second floor had a lot of big booths and some of the superstar vendors, as well as the main stage, where fashion shows were taking place. It. Was. Insane. 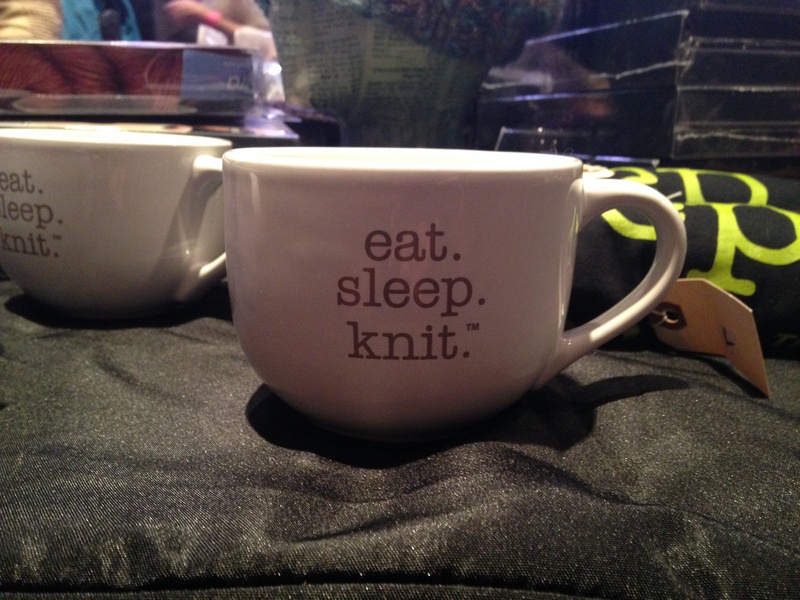 Perhaps predictably, I did not attain my goal of leaving Vogue Knitting Live! without buying anything. But I also didn’t leave VKL with much. I bought a pattern (for the Grus cowl; $6) and one skein of a hand-dyed lace-weight yarn from a farm in New York ($16). Plus, I saw a lot of cool knitted stuff, added half a dozen patterns to my Ravelry queue (now 436 project long; I might need to quit my job and knit full-time), and decided that yes, Vogue Knitting Live! is more than worth the price of admission. Sign me up for next year. * Knitting is overwhelmingly a women’s hobby; I saw a few men at the show, but they probably composed under 10% of vendors and attendees combined. Several were clearly bag-men brought along by their wives to carry the woman’s purchases and leave her hands free to pet the yarn. Aaah!! How fun! I’ve heard of this event but have always been on the wrong coast. 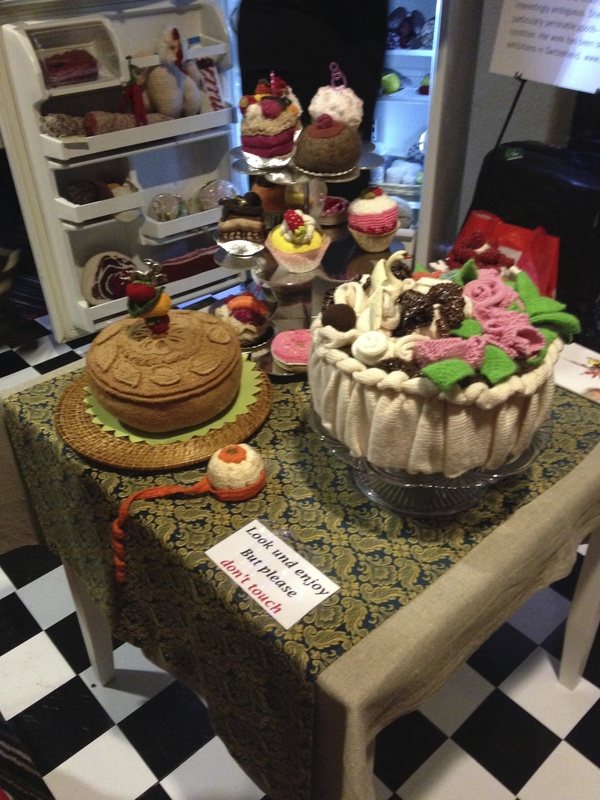 The knittable food is awesome. That sort of thing always grabs me – my sister showed me a ravelry picture of a knit piece of broccoli the other day that totally appealed to me. So fun, Maura! Thanks for taking the last doubts about going away – may be I’ll see you on Saturday !? It was so much fun! Unfortunately, I won’t be there this year—I no longer live in New York and can’t make the trip right now. But I’ll be knitting in solidarity and hope you have a great time! 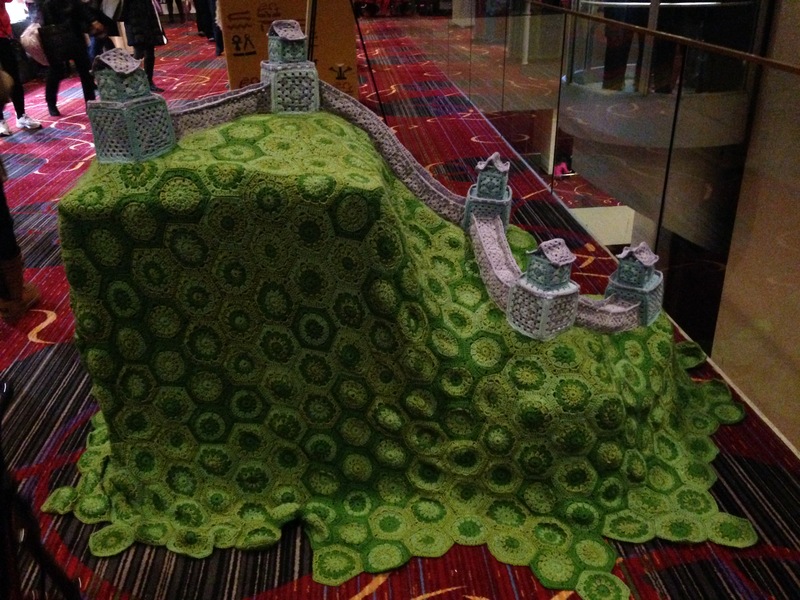 For people who can’t get to Manhattan, it looks like they now have Vogue Knitting Live events all around the country. San Francisco, Chicago, Minneapolis.